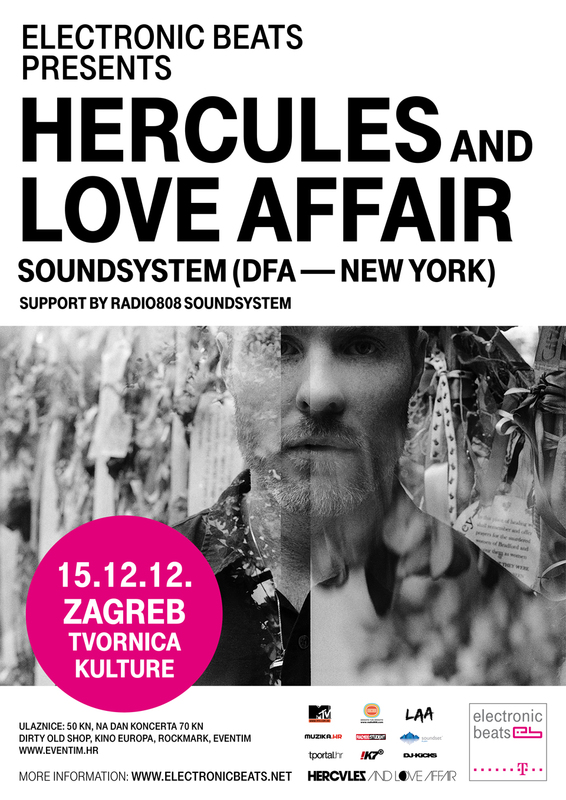 On Monday we announced that Electronic Beats will be linking up with NY disco authority Andy Butler of Hercules and Love Affair to present a string of Hercules & Love Affair Soundsystem gigs. The stripped back setup, featuring Andy Butler and a small coterie of singers, will play Amsterdam on 23 November which—as we can now exclusively reveal—will be followed by a stop-off in Zagreb, Croatia on 15 December 2012 at the Tvornica Kulture. Of course, the good people of Zagreb will be familiar with the Electronic Beats family dropping by—only last week the EB Festival was in town with Hot Chip, Modeselektor and Dillon in tow. Intrigued? You can get an insight into the rumblings and developments afoot within Hercules & Love Affair in this week’s interview with Andy Butler. Can’t make Zagreb? Keep your eyes peeled for the details of the third and final date and venue, coming soon.